What Should Manufacturers Look For in a Technology Solution? The next decade is going to be one where leading manufacturing organisations differentiate themselves not just by introducing the right talent into the procurement function but also in how they build capabilities and practices around automated technology that transform the way they forecast, negotiate, bring new products to market and manage extended tiers of suppliers. 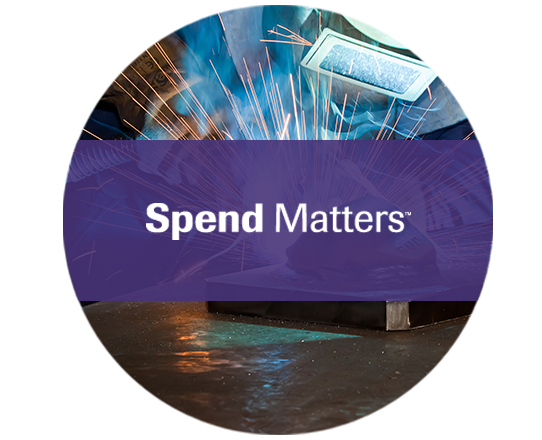 Dive into the Spend Matters 2018 Outlook report and see how finding the "Perfect" Solution Partner can empower Procurement and Supply Chain organisations become better strategic partners to the enterprise. “Properly implemented, analytics programs that go beyond basic spend analysis should unearth a 5X+ ROI based on identified savings and an implemented NPV that outpaces just about any other corporate cost savings initiative". 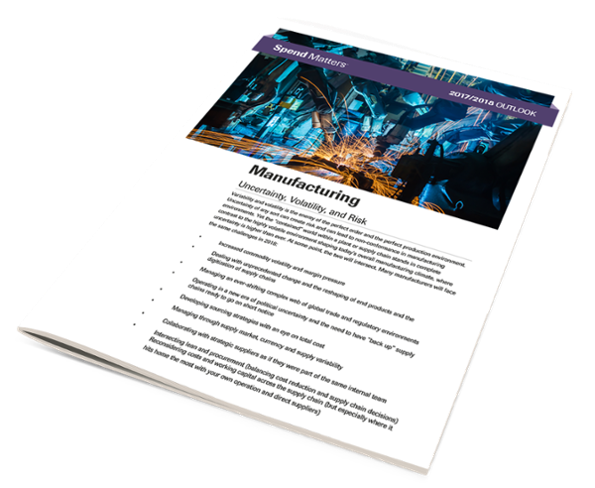 Download the Report: Managing uncertainty, volatility and risk: what should Manufacturers look for in a Technology solution?